Chevron is a collection by Riley Blake Designs. 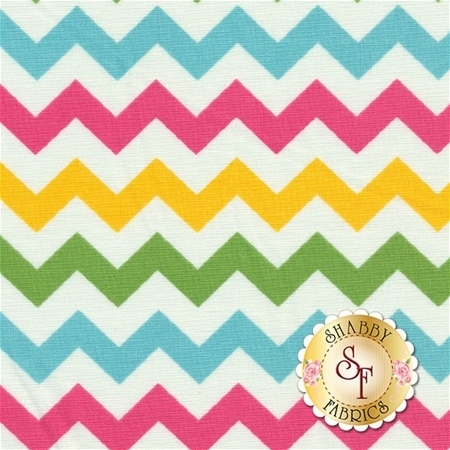 This fabric features small green, yellow, pink, and blue chevrons. Chevrons are about 3/8" thick.